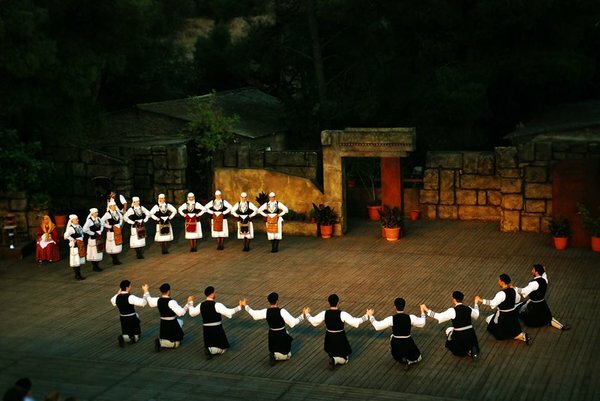 Discover the traditional side of Greece by watching folk dances from every corner of the country. Or take a swing at learning a dance step or two yourself. Located in a dreamy location on Philopappou Hill, with a view of the Parthenon, the Dora Stratou Greek Dance Theatre is open all summer long. If a dance class isn’t your thing, check out the costumes from each corner of the country or browse the theatre’s collection of books, photographs and films. When: 23 May – 23 September 2018. Wednesday – Friday 21:30, Saturday- Sunday at 20:30. Monday, Tuesday (and 4-8, 28-29 July και 8-19 August) closed.